It is often said that Mormons believe practically everyone will be saved. Do Mormon beliefs include a belief in Hell? According to many religions, in order to be saved you must, in this lifetime, accept Jesus Christ as your Savior. However, that leaves most of the world unsaved, since many lived before Jesus Christ was born and many others lived and died without ever hearing of Jesus Christ. Many others never received a witness from the Holy Ghost of the Savior’s divinity. Mormon beliefs teach that God is loving, kind, and fair. He is the Father of our Spirits, knows us personally, and loves each one of us. Mormon beliefs do not allow for a God who would create a child and then coldly punish him for eternity for something he had no control over. To a Mormon, a God who would punish an infant for dying before it was old enough to accept Jesus Christ as His Savior—particularly when it is God who controls life and death—is not the God of the Bible. Mormons teach that God created our spirits and we lived with Him for a while before being born. During this time He came to know us and when we came to Earth, He planned our lives based on what He knew. We are here to learn, grow, have experiences, and to find the gospel of Jesus Christ. The Holy Ghost helps us to recognize the truth when we hear it. However, not everyone gets the opportunity in this life to hear the gospel. Some die too young, some lived before Jesus Christ, and some never heard of Him. Others never received a spiritual witness. God loves every one of us because we are literally His children. He wants us to succeed and so He planned for those who would not hear the gospel in this lifetime. While there are no second chances after life is over, everyone is entitled to a first chance. Jesus told His disciples He was going to preach to the spirits who were in prison. Why was He going to preach to them if there was no hope for them anyway? Mormon beliefs state that everyone will have the opportunity to hear the fullness of the gospel either in this life or the next, and to have a testimony that it is true. They will also, in this life or the next, have the opportunity to either accept or reject that message. Some will reject it, even knowing it is true, because they don’t want to live it. That leads us back to the original question of whether or not Mormons believe in Hell. The Mormon belief is that most people will live an eternal life more wonderful than any they can imagine. There are three levels of Heaven and we will be assigned to one based on our choices. This does not mean we are saved by our works. It means that Jesus said we have to keep the commandments if we want to enter Heaven. 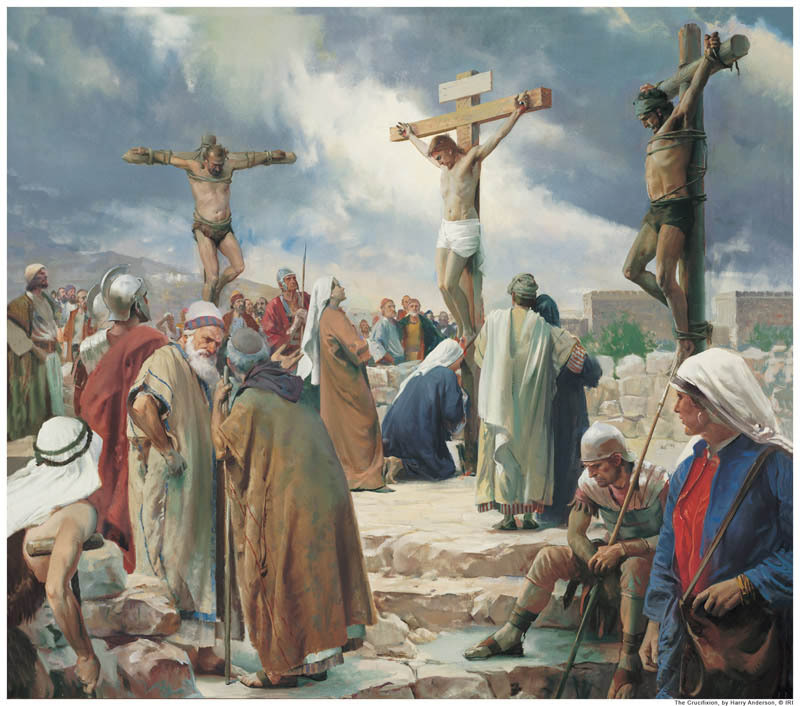 We are saved through the atonement of Jesus Christ, but our actions matter in the eternities even as they do in mortality. Most Christians actually believe that because they believe a person must accept Jesus Christ as His Savior—an action—and many also believe baptism is required—another act. Those who were willing to make the greatest commitment to the gospel, to sacrifice worldly pleasures for eternal ones, and to love Jesus Christ so much they are willing to keep the commandments will have the greatest reward—the ability to live with God forever. However, many people will live good lives without accepting the complete gospel or any gospel at all and many will love Jesus but choose to be sidetracked by worldly priorities. Most of those will achieve a measure of Heaven, not in God’s presence, but in a wonderful eternity. After all, they had once, before birth, chosen to come to earth and to risk their eternal home to carry out God’s plan. A small number of people will be denied any part of Heaven and they will be forced into eternal darkness to live with Satan. Those will be the people who knew without a doubt of the divinity of Jesus Christ and His gospel and knowingly and willingly rejected it anyway. When they choose to reject Jesus Christ, they also choose to reject all He offers them. Because of the requirement that a person have a perfect knowledge before rejecting it, we cannot know who will and will not be saved. It is not, Jesus taught, our place to make that call. We focus on our own salvation and on teaching others what they must do. The actual decision as to a person’s eternal status will be made in the final judgment. In what you wrote. I find how you and others don’t get it.children never go to hell. A belief that only the most wicked go to hell . It opens the door for evil to come in to your life. It gives a falsehood that you can do bad things and still get in to heaven. You see I have been in the hand of GOD and in doing so he has named me JaHonna. And with that he has given me many gifts one is to see the future other is to see peoples souls at times when needed not only that I can feel other peoples pain and there hate. That is also to say I have felt the pain of a in tire nation. Read what you wish. It depends on the definition of hell. Little children who die are saved in innocence and never go to ‘hell.’ Those who reject the Savior both during mortality and in the spirit world after death must suffer for their own sins. This is ‘hell’ but is temporary. Those who see Christ and partake of His light and then fully deny Him become Sons of Perdition and go to hell with Satan and his angels. All others inherit a kingdom of heaven, some after suffering for their own sins. Thank you very much for sharing that I am a fairly new believer and I was doing studies last night and this subject came up it seems that I didn’t have a clear enough understanding of it for sure. Thanks again.